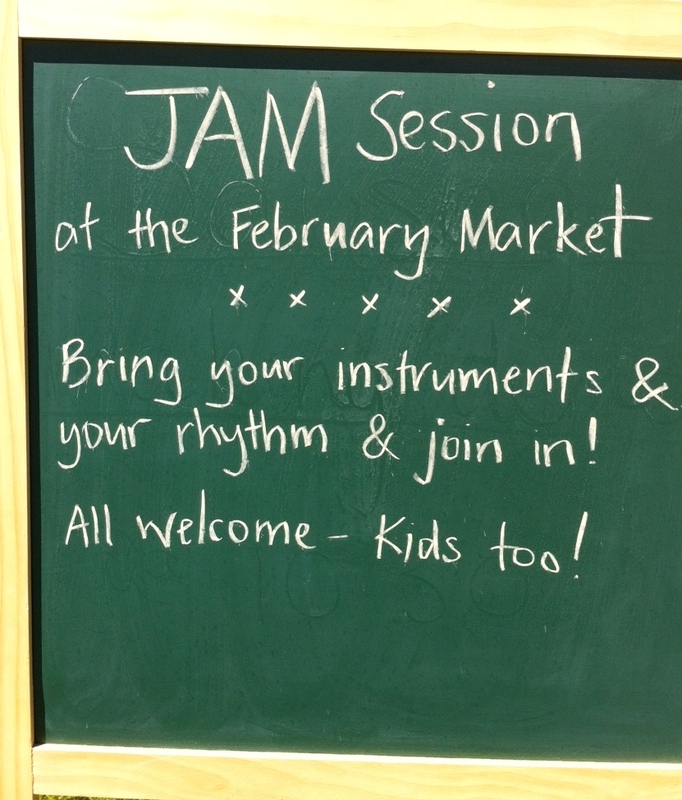 We have a really exciting event happening at the Market this Sunday – a JAM Session encompassing two of our favourite kinds of jams – the musical kind as well as the fruity kind! Elizabeth Knox, president of the Dunalley School Association, will be conducting a jam making and preserving demonstration at 11am. Elizabeth will show how to make the world’s easiest strawberry jam with the Thermomix, how to make traditional raspberry jam on the stove top and will also demonstrate how to preserve apricots using a Fowlers Vaccola preserving kit. These preserving techniques really help to make the most of the beautiful summer produce available at the moment – and there’s nothing nicer than opening a jar of your own preserves on a cold winter’s day and having a taste of summer sunshine on your spoon! Josh and Hamish, two of our great regular buskers, will be running a musical JAM session from 11:40am-12:20pm. Anyone and everyone is welcome to join in and it’ll loads of fun! If you, or your kids, have a guitar, violin, trumpet, flute, tambourine, bongos or even just a triangle, please come along and get involved – you can expect a fun and relaxed atmosphere – it’ll be a blast! Along with our musical JAM session, we’ll also have the lovely Kelsie Hibberd and Malcolm and JAX providing us with their beautiful sounds – many of our Market patrons have commented that the music and busking are one of their favourite aspects of the market, so come and down and enjoy.